We're very excited to unveil the maiden voyage of the SS Biscuit at Coachella 2015. We've always wanted to do a tree house. Why not make it a boat as well? Given four days on-site to come up with and build this temporary installation, Hunter Leggitt Studio and crew released it's creative fury. 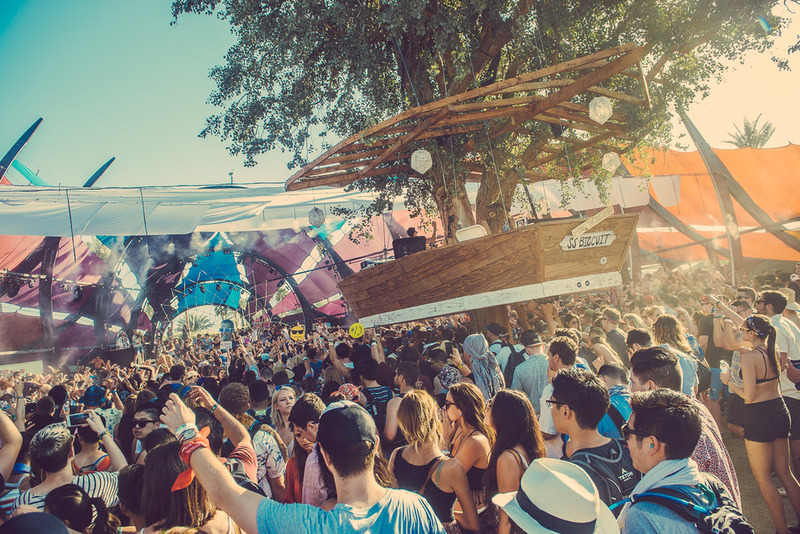 Serving as the Do LaB Stage's front of house, this structure is 100% suspended from branches and floats over the crowd. Special thanks to the Do Lab and our incredible build team listed on the project's page. Come say hi. Best seats are in the tree house!